These "Permanent Seminars" are special for secondary school teachers who want to keep updated about the current research in science. In alternate Fridays they visit one research center or university, and listen and learn from the researchers, who explain them their current research and some guidelines that they could offer to the students. In our case, the teachers first had the opportunity to visit some of our labs with Prof. Josep Fontcuberta, who explained them the X-ray, magnetism and PLD facilities, Dr. Xavier Granados and Prof. Teresa Puig, who explained them the secrets of superconducting materials, and even made a demonstration of their levitating properties; Dr. Jose Vidal, who explained them the EPR technique (electron paramagnetic resonance) for the characterisation of materials, and Dr. Jose Giner, who showed them the laboratories where they synthesize the boron clusters. After the visit, Anna May, Communication & Outreach Officer, gave them a brief talk about the main research lines of the center, and some basic facts & figures. This was followed, first by a seminar on "Boron Clusters and their potential optical and biomedial applications" by Dr. Rosario Núñez, and then by Dr. Ferran Macià with a talk on "The electronics of the future", in which he talked about neuromorphic engineering. 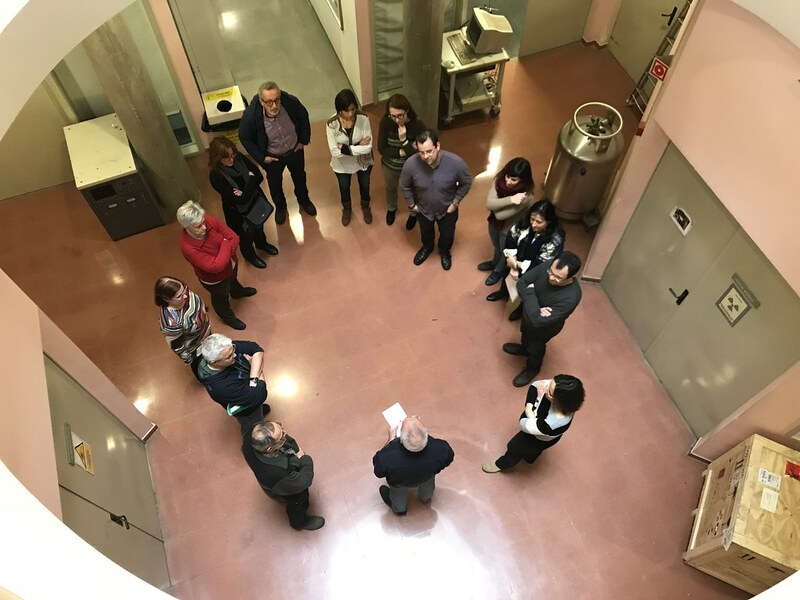 We thank Miquel Calvet and Fina Guitart for organizing this, all the researchers from ICMAB involved in the activity for their cooperation, and we hope that the attendees enjoyed their time with us!